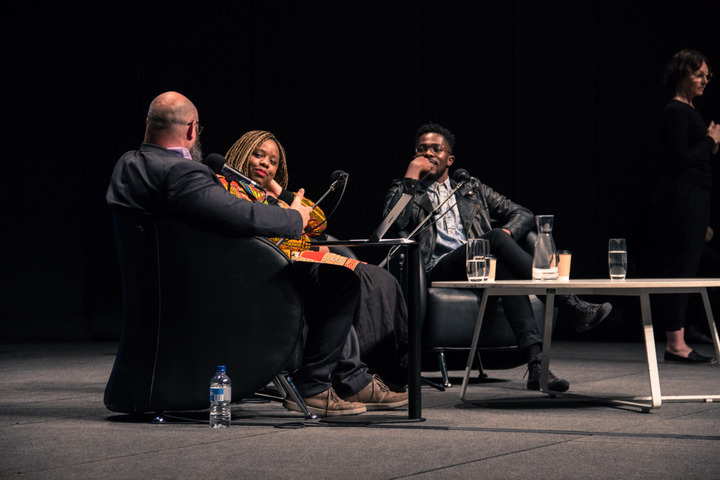 In Australia to collect the Sydney Peace Prize, two of Black Lives Matter’s founders and leaders – Cullors, and Toronto BLM Chapter co-founder Rodney Diverlus – talk with Jack Latimore about the achievements and broader goals of #blacklivesmatter … and how we can translate the lessons of the movement to face and fight entrenched inequality for Aboriginal and Torres Strait Islander people in Australia (with whom they've spent significant amounts of time ahead of this conversation). Among other topics, they discuss the importance of sustained activism, inclusive and nuanced ideas of 'blackness', and an empowering movement unconstrained by national borders or charismatic leadership. Listen to the podcast here. What'd you think?